The speed and fluidity of information in today’s inter-connected world has created new pressure on companies to align their policies with the demands of more informed and engaged stakeholders, both inside and outside the corporation. Therefore, our work to strengthen a company’s external positioning usually begins at home. Our systematic audits and surveys allow us to measure company policies against industry best practices. More importantly, they also allow us to assess whether those policies and programs are having the intended impact where it matters: in your workplace and in the markets and communities where you operate. Having the right policies in place is essential, but it’s almost never enough. Time and again, companies that achieve a perfect score on an equality index have large shares of their LGBT employees stay in the closet due to concerns about safety or career advancement. Indeed more than half of LGBT adults in the United States remain closeted at work—and study after study has demonstrated the negative impact that situation has on personal and team performance and the bottom line. The good news is that the effort to bridge any gaps between theory and practice is usually small compared the effort and resources you’ve invested to establish the right policies in the first place. Most advisory firms will offer support in one or two of these areas. Clients often have little choice but to invest precious time, energy and finances to piece together support from multiple sources whose perspectives, priorities and business agendas may not easily align. Tedstrom Associates can provide comprehensive and integrated support because we focus solely on strengthening our clients’ positions with key internal and external LGBT constituencies. We bring decades of experience and expertise working at the intersection of: politics and policy; LGBT and other human rights issues; Corporate Social Responsibility and business strategy. We bring expertise in coalition building; project management; communications and crisis management; and corporate board service. Our network in and around the LGBT community—in the United States and internationally—is vast and includes elected officials, thought leaders NGO directors and journalists. Our clients recognize that maintaining a sharp focus is essential to business success. At Tedstrom Associates, we, too, focus all of our energies, expertise and experience on achieving our sole purpose—helping our clients build stronger businesses by aligning with best practices for LGBT-related policies in the workplace and staying on solid footing with LGBT stakeholders and their allies in the marketplace.  Founded in 2012, Tedstrom Associates is committed to building a world in which businesses are stronger by embracing diversity, equality and inclusion in their workplaces and communities. Our logo symbolizes our philosophy and summarizes our organizational ethos. The circle symbolizes the 360-degree, holistic and integrated approach we take to the work we do for our clients. We assess the need for change across the enterprise and its operations and develop reforms where needed. The purpose is to create a consistent, integrated and cost-effective strategy for diversity and inclusion challenges that adds to the bottom line and speaks to the missions, goals and cultures of our clients—wherever in the world they may work. The second element — our interpretation of the famous Penrose Triad — instinctively references the iconic, universal symbol for LGBT equality, an inverted triangle. Penrose intended this image to represent an “impossible" object. We’ve updated Penrose’s design to emphasize just how possible, and essential, strong diversity and inclusion solutions are. Though still perplexing on initial glance, our triangle's three component parts are equally sized and shaped. They fit together with the precision needed to produce a highly functioning, multi-cultural, multi-dimensional team, which perpetually goes from strength to strength. The points of our triangle symbolize individual equality, organizational diversity and business success. We believe these three results to be intrinsically “possible” for every company and we strive to achieve them for every one of our clients. Helping build a world in which businesses are stronger by embracing diversity, equality and inclusion in their workplace and communities.